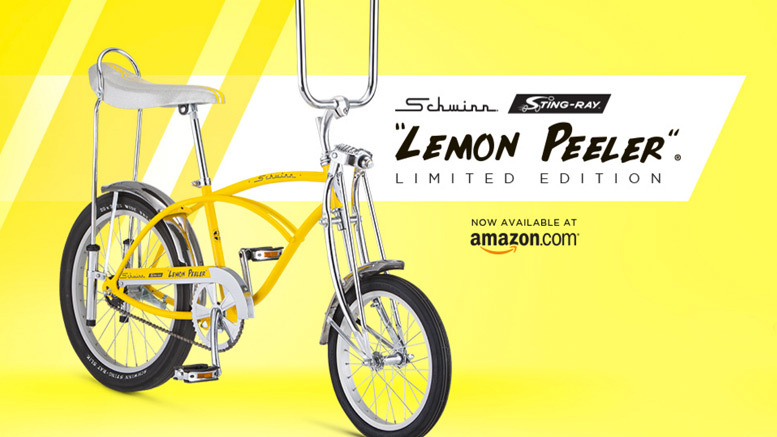 Schwinn recently announced that it is offering a Limited Edition 2017 Lemon Peeler to be sold on Amazon.com. There will be a total of 500 bikes sold and each one comes with a numbered certificate. Currently the price on these is set at $300 with free 2 day shipping if you are a Prime member. 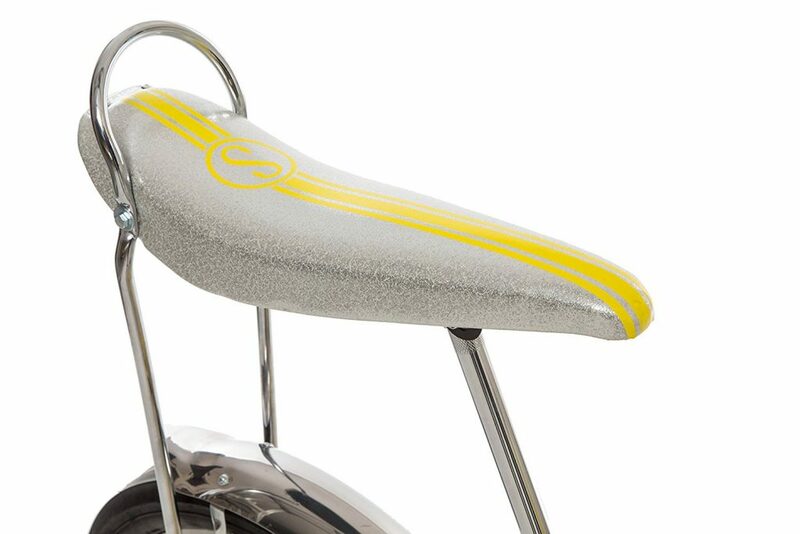 As always, these reproduction Sting-Rays prove to be somewhat controversial amongst Schwinn collectors. This genre of the bike collector hobby has a tendency of being purists. 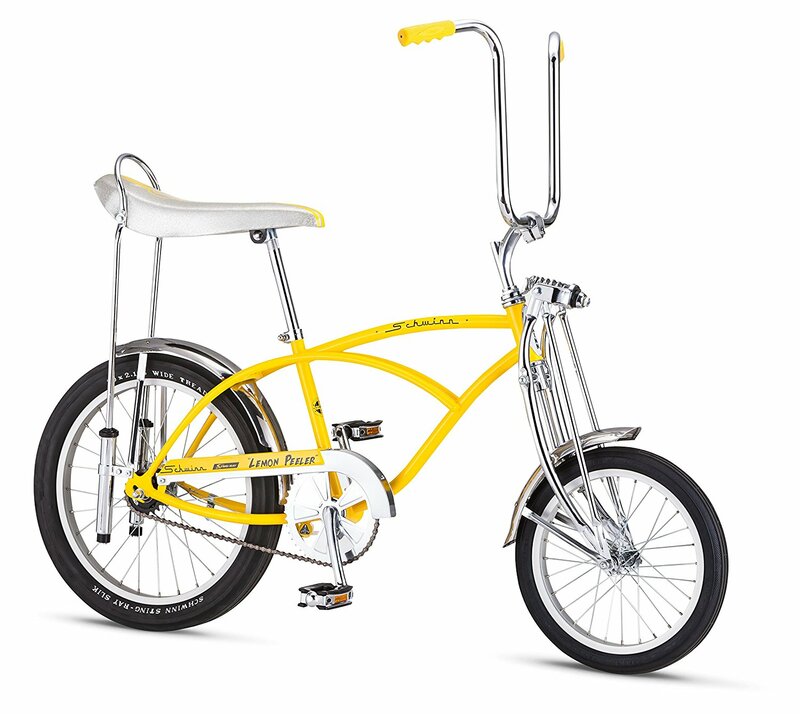 It’s easy to see why that is the case knowing that pre 80’s Schwinn of Chicago was putting out some pretty amazing products. It’s hard to argue with the fact that vintage U.S. made Schwinn bikes from long ago were some of the best quality bikes to have ever been produced. All of that being said, these reproduction bikes being offered today need to be viewed from a different perspective. 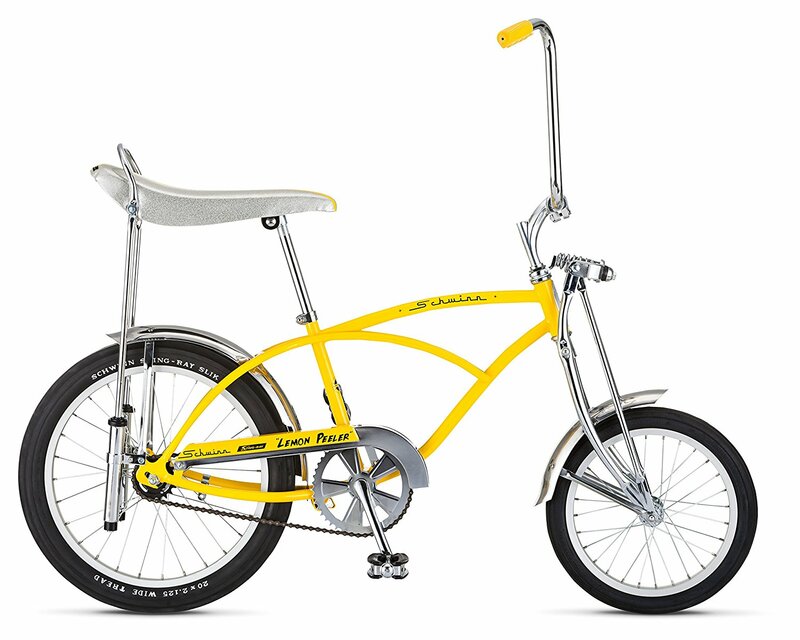 There’s obviously major differences in the Lemon Peeler Krate bike of the 60’s and 70’s and the bike being offered by Schwinn today. We’d go so far as to say that the 2017 model isn’t as much of a reproduction as it is an “inspired” model. If you are someone that is looking for an exact replica of the vintage bike, this isn’t for you. If you are someone that is looking for a retro styled muscle bike to have fun on and enjoy the vintage Schwinn vibe, you’re probably a better candidate for this bike. 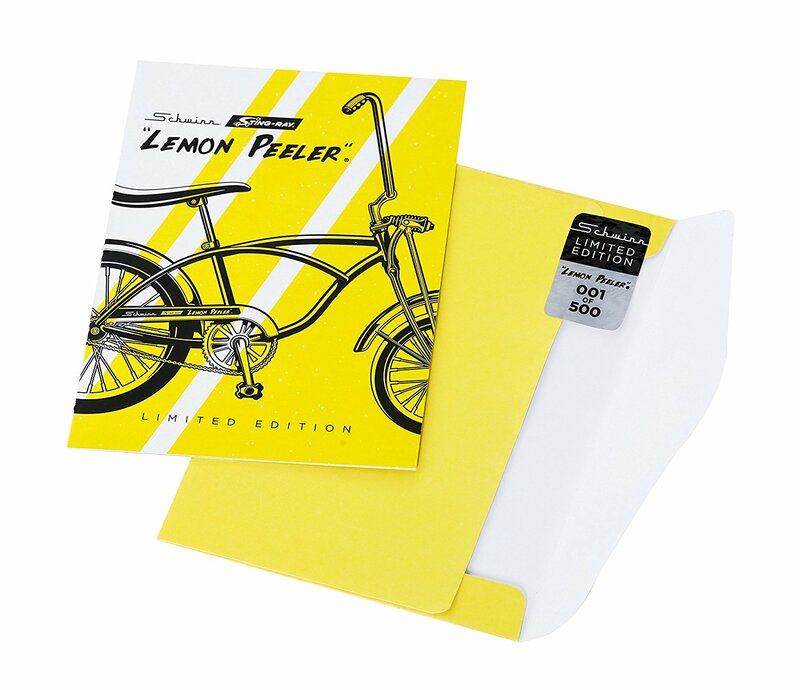 The original Lemon Peelers are fetching prices of $2000 and above these days on Ebay. Most folks have no interest in spending that kind of money on a bike for their kids or for something to goof around on in the neighborhood. In this case, the bike Schwinn is offering on Amazon isn’t a bad buy at $300. 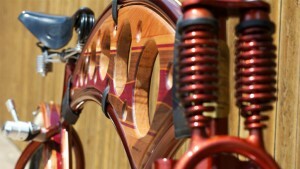 We’re encouraged to see Schwinn embracing their past and having fun with their products. 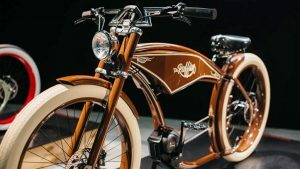 Hopefully there will be more bikes produced that celebrate their great designs of the past. Maybe Schwinn could even consider creating a line of more accurate, higher quality reproductions again like they did in the 90’s. 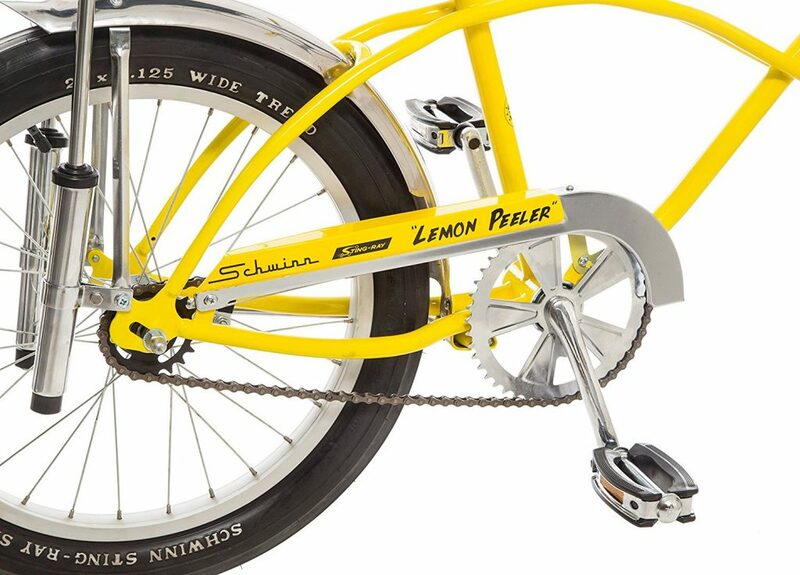 Regardless, if we saw a kid out riding one of these 2017 model Lemon Peelers around the neighborhood, it would surely put a smile on our faces. 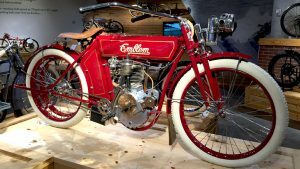 A TRIP TO THE BARBER VINTAGE MOTORSPORTS MUSEUM – AKA HEAVEN ON EARTH! Good article Steve. They should have no problem selling 500 of these. I ordered one on Amazon Feb.20 for 317.10 333 total. 3 days later Amazon lowered the price 295.67 no price match. Should get the bike on the 27 one week from order. Looking forward to see what it looks like. I have been trying to get a bike for 9 year old son before Christmas. Marcigi cancelled 5 bike orders out or stock. Hope to get the sting ray soon. These are great for kids!!!! Otherwise hate ’em and not looking forward to seeing these listed on craigslist and ebay for $500+ for the next 20 years. Flipper fodder!